A rheumatologist is a physician who specializes primarily in treating patients with diseases affecting their joints. 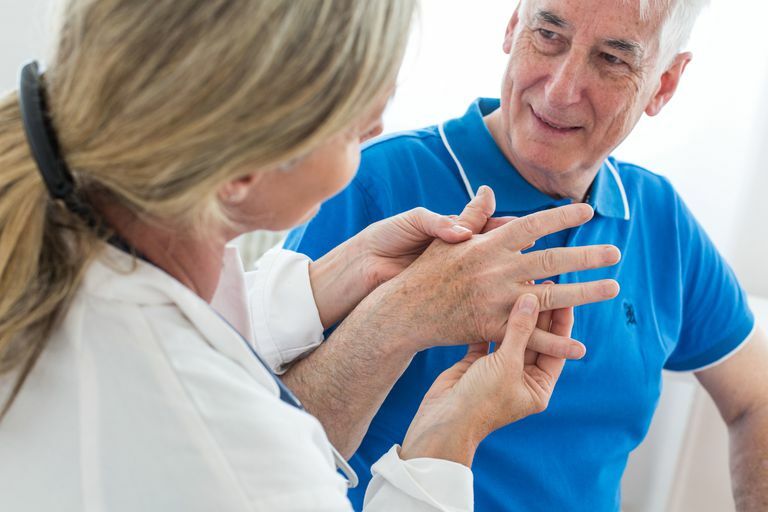 Much of a rheumatologist's practice consists of treating arthritis patients of all ages. Rheumatologists have particular skills in the evaluation of the over 100 forms of arthritis, and have special interest in rheumatoid arthritis, spondylitis, psoriatic arthritis, systemic lupus erythematosus, antiphospholipid antibody syndrome, Still's disease, dermatomyositis, Sjögren's syndrome, vasculitis, scleroderma, mixed connective tissue disease, sarcoidosis, Lyme disease, osteomyelitis, osteoarthritis, back pain, gout, pseudogout, relapsing polychondritis, Henoch- Schönlein purpura, serum sickness, reactive arthritis, Kawasaki disease, fibromyalgia, erythromelalgia, Raynaud's disease, growing pains, iritis, osteoporosis, reflex sympathetic dystrophy, and others. Often patients are referred to a rheumatologist by a primary care physician. The rheumatologist may conduct and/or order tests to diagnose the patient (determine the cause of the problem). Then the rheumatologist may treat the patient with medications, infusions, and management of diet and exercise regimens. Pediatric rheumatologists are physicians who specialize in providing comprehensive care to children (as well as their families) with rheumatic diseases, especially arthritis. To become a rheumatologist, one must first complete the basic requirements of becoming a physician: a bachelor's degree, preferably in pre-med or other related biological, physical or chemical science, plus four years of graduate school in an accredited medical school to obtain an M.D. or D.O. degree. Rheumatology is a sub-specialty of internal medicine. Therefore, rheumatologists must first complete all of the requirements to become internists, including three years of internal medicine residency. After residency training, the physician would complete fellowship training in rheumatology, which is typically a two-year clinical program. Rheumatologists are usually board certified in both internal medicine and rheumatology. Like all physicians, rheumatologists much also obtain a state license to practice in the state where they work. Pediatric rheumatologists are pediatricians who have completed an additional two to three years of specialized training in pediatric rheumatology and are usually board-certified in pediatric rheumatology. According to the Medical Group Management Association, the average earning for rheumatologists is approximately $251,000 per year. The median (midpoint) range was $226,206.